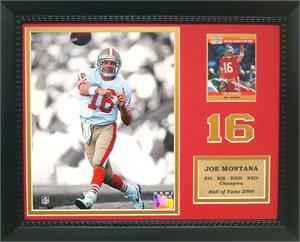 Piece features an officially licensed 8 x 10 photograph of 49ers Hall of Famer Joe Montana. 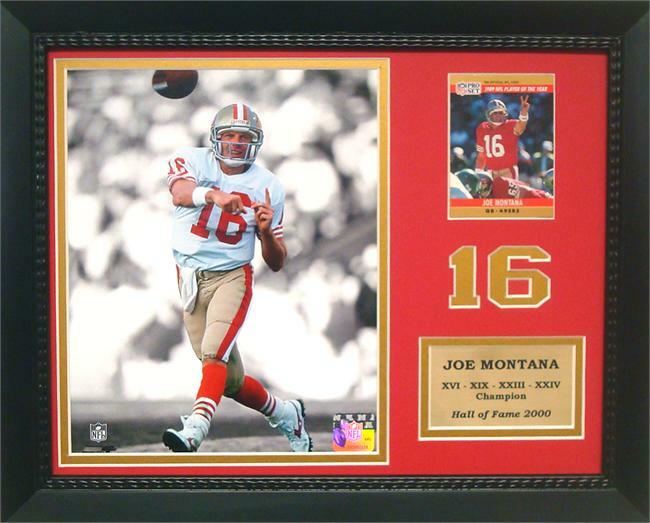 The photograph is paired with a plate that showcases the players name and number as well as a football card of the player(Card May Vary). All elements are professionally matted and framed in a hiqh quality wood frame.